You've probably considered several storage shed plans in an attempt to find a way to house your horse training and care supplies, keeping them safe from the elements that are out of your control. 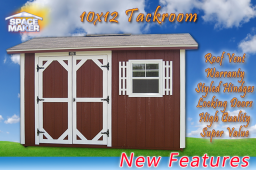 However, it seems that none of these are designed specifically for horse supplies, like a real tack room, especially at a size that is conducive to storage in your back yard where your equipment lies in wait to be carried out to the country for use. You need an affordable place to treat the leather, store the items, and generally keep everything in good condition. 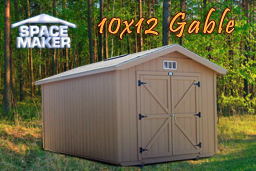 Typical outdoor storage sheds just won't cut the mustard, unless it's so large it angers neighbors by creating an eyesore. The roof, framed with an insulated decking and extending to overhang on all sides of the building for protection against bad weather. 25-year shingles ensure long-lasting durability. 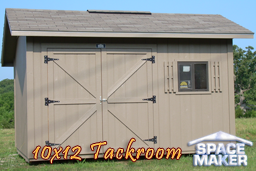 Unlike many outdoor storage sheds, you will find that this tack room is built on a flooring of solid 4x6 pressure treated runners with 2x4 floor joists on 12-inch centers, covered by plywood decking with a smooth sanded finish so that the room is not only sturdy but also attractive. 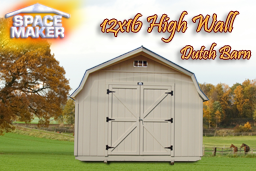 This affordable option, unlike most storage shed plans, can even be customized to your liking, with top quality windows and shelving or shutters as you specify to your needs. White Western Fir siding, which employs a baked on primer for longer lasting paint life, is classic and will look good for years to come. Within your tack room, you'll have permanent fixtures from which to hang or drape horseback riding and training equipment, as well as to store cleaning materials. The 10x16 dimensions are similar to those of a bedroom and allow plenty of room for multiple people to be within the space. Don't settle for something bulky that's going to take up a lot of space and not provide ample protection for your important and expensive equipment. 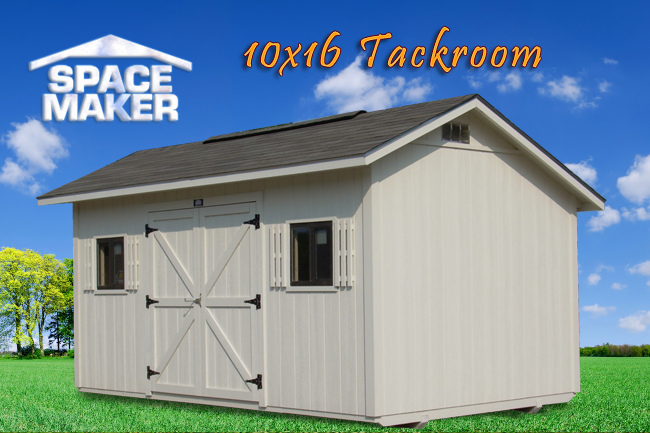 Space Maker Portable Buildings can help you create a number of different custom tack rooms, outdoor storage sheds, and other buildings at an affordable price.